Saif Ali Khan will grace the Koffee With Karan couch with daughter Sara Ali Khan. One of the most followed ‘power couples’ of B-Town, Kareena Kapoor Khan and Saif Ali Khan are fondly referred to as ‘Saifeena’ by their fans. Actors Saif and Kareen have been giving relationship goals since 2008. Kareena and Saif tied the knot on October 16, 2012, and Saif recently revealed something on the Koffee With Karan show, which will only increase the couple’s fan following. 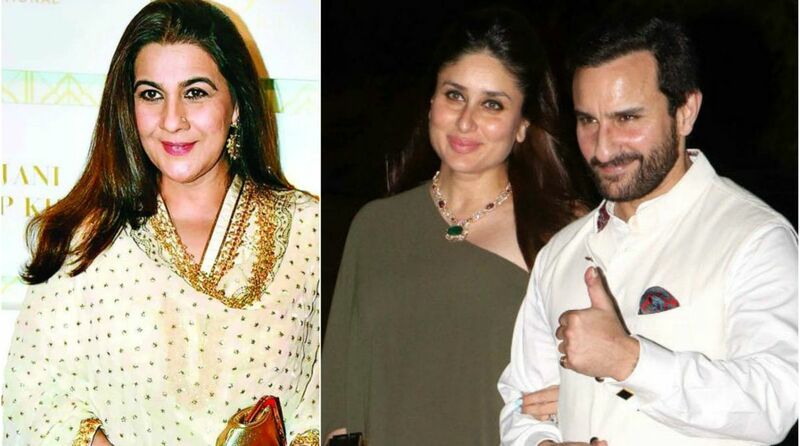 According to a report in Mumbai Mirror, Saif told Karan Johar, who is a close friend of Kareena Kapoor, how he wrote his ex-wife Amrita Singh a letter on the day of his wedding to Kareena. The letter was all about wishing her well as the duo was starting a new chapter in their life. While the letter was a memorable gesture, but actor Saif made sure to make the would-be wife Kareena read it before he sent it across. Saif also said how Kareena was extremely supportive and even urged him to send it to Amrita. READ MORE| Kareena Kapoor Khan to return as ‘Poo’ on Netflix? Saif Ali Khan will grace the Koffee With Karan couch with daughter Sara Ali Khan, who is all set to debut in Abhishek Kapoor’s film Kedarnath with Sushant Singh Rajput on December 7.